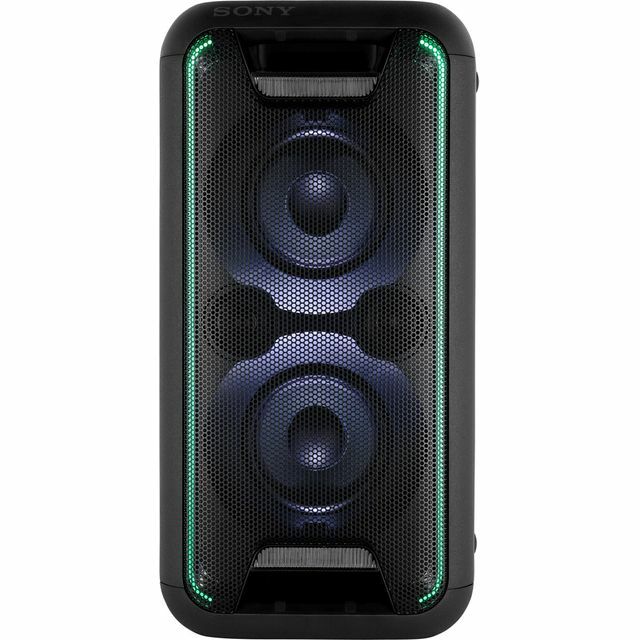 Listen to your favourite tracks with this high powered Hi-Fi system from Sony, with 200 watts of audio power. This model has Bluetooth compatibility, so you can easily pair compatible devices – allowing you to control the settings and be your own DJ. No matter what music you choose, this model’s 4 built-in speakers will make it sound awesome. You can also connect a USB hard drive to pick the best tracks from your music collection, guaranteeing your party will be a hit. Now all you have to do is create the perfect playlist. This High Power Hi-Fi system was designed for parties. 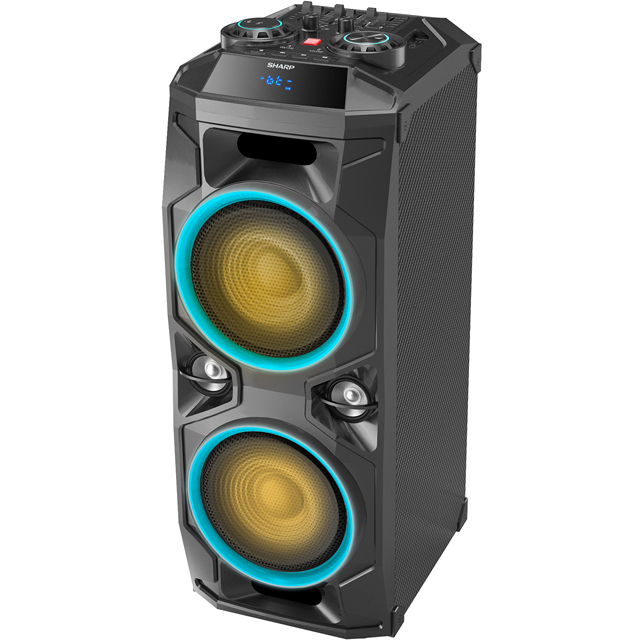 Whether you’re having a quiet gathering with a few friends or have something bigger in mind, this unit will fill the space with rich, bassy sound. Thanks to an extra kick of power and brilliant speaker design, you get crisp sound at high volumes. This Hi-Fi system from Sony has an impressive 200 Watts of power. This means you can turn up the volume and never lose audio quality. You can fill the whole room with sound and enjoy your favourite music as it was meant to be heard. The Bluetooth technology on this Hi-Fi makes streaming music easy. You can simply pair your mobile device to the system and switch songs, change tracks and adjust the volume remotely. This gives you complete control to listen to whatever you like - perfect for parties or when you’re having friends over. This Hi-Fi system has four built-in speakers, one main speaker and three tweeters. 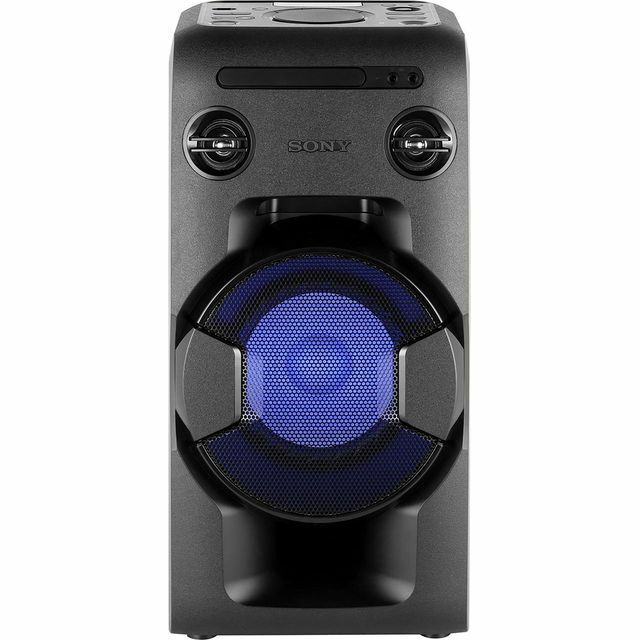 The main speaker produces the bulk of the sound with crystal-clear quality, while the tweeters help your system reach those epic highs in your favourite tracks. So you’ll experience well-rounded, crisp sound no matter what you’re listening to. * GTK-XB5B was at the higher price between 31/01/2019 and 10/04/2019.